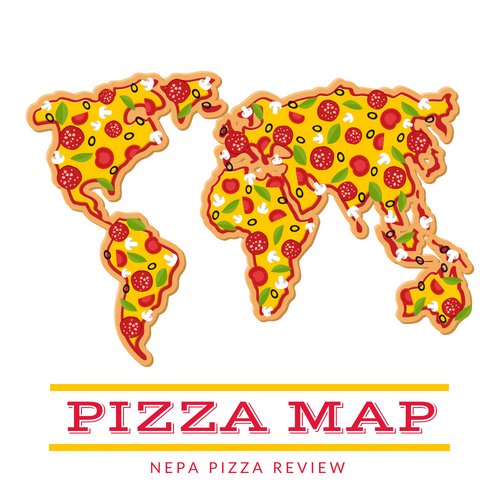 When I first started this website more than 2 years ago, of course one of the first locations I went to was the Pizza Capital of the World - Old Forge. There are several heavyweight pizzerias to consider in town with some serious national recognition. Both Revello's and Arcaro and Genell (among others) have made national best pizza in the state and country lists over the years so why wouldn't I buy into the hype and head there? 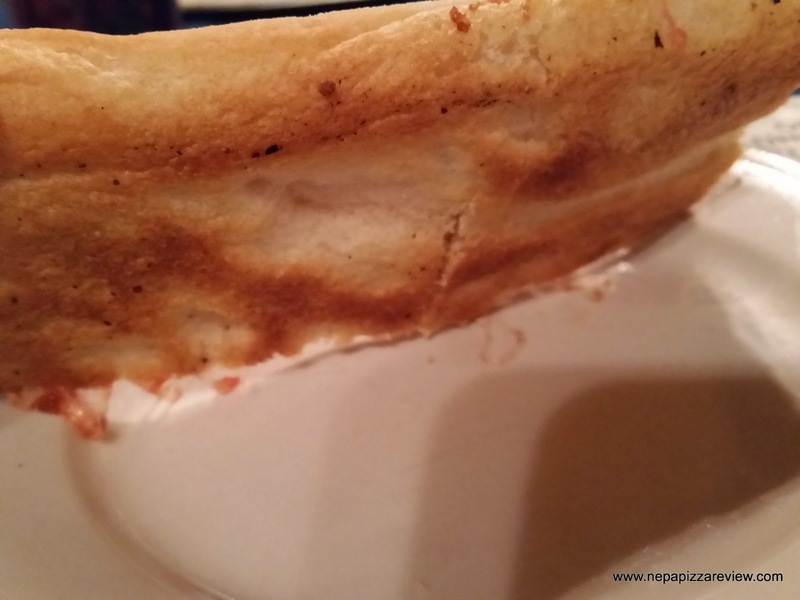 I've been back several times to review some of the other popular pizzerias and all have been wonderful if you are into this genre of pizza. 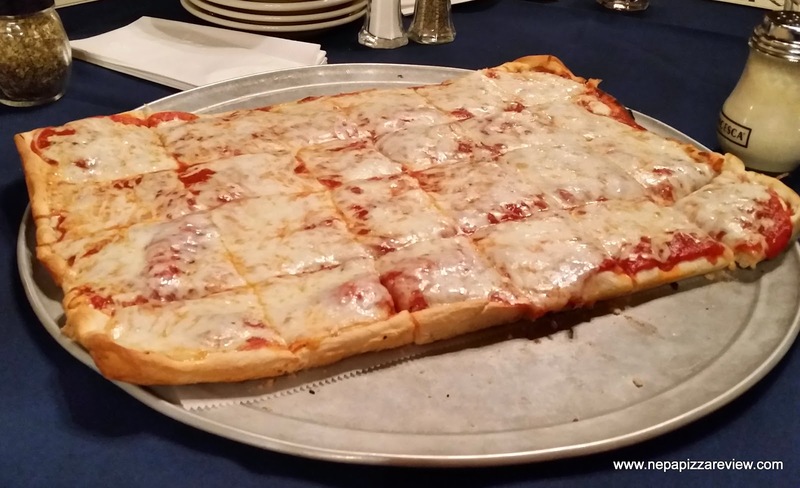 If you check out my last review of A&G, you will see that I liked it, but it wasn't the best single pizza I've had from there, so I was back for more because I know how good their pizza can be. When I arrived, I was surprised to see a much, much different looking building than when I last saw it. 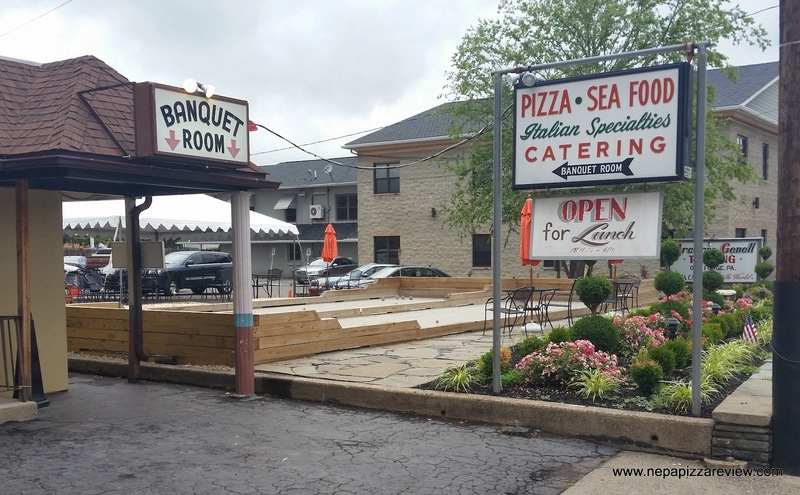 There appeared to be a large addition to the left side, and as I approached the building I noticed that there was a very exciting addition to the right side - 2 BOCCE BALL courts and what looked to be the beginning of an outdoor patio! You all know that I love pizza, but I really love playing bocce, so if I ever get the chance to combine the two I'll be back soon! I was dining in the large banquet room for lunch and noticed that room had been updated pretty significantly as well. I was in heaven just chilling out in my new surroundings, but I had a job to do, and that was to review the pizza. A group of us ordered an Old Forge Red pizza for the table and it was ready in just a few minutes. Of course the group waited for me to take the first slice and try it, which is always incredibly awkward but I pushed through and chowed down. The first thing I noticed was that this pizza was cooked very nicely, not overdone, but also crispy enough to satisfy my desire for some crunch. The dough was very tender and flavorful - I would surmise that this was a fresh shell. My favorite part of the pizza was definitely the sauce, which had a little more backbone than I recall. The tomatoes were fresh, slightly chunky, with a nice seasoning blend and just a hint of zest that worked perfectly with my taste buds. The cheese, which was some sort of blend of possibly cheddar and muenster (or something like that) balanced the whole thing out carefully. Of the approximately 20 pizzas I've had from Arcaro and Genell, this was definitely the best one yet. I'm going to go so far and say that this was among the top 2-3 Old Forge Pizzas I've ever had! All in all, this trip to Arcaro's was a smashing success as I received a pizza that was much better than the last and the best from A&G to date. I also got a glimpse of what is going to be an unbelievable place to eat, drink, play, and celebrate. I can easily see showers, weddings, graduation parties, etc being held at the new A&G! I can't wait to see the finished product. Has anyone else checked it out? !